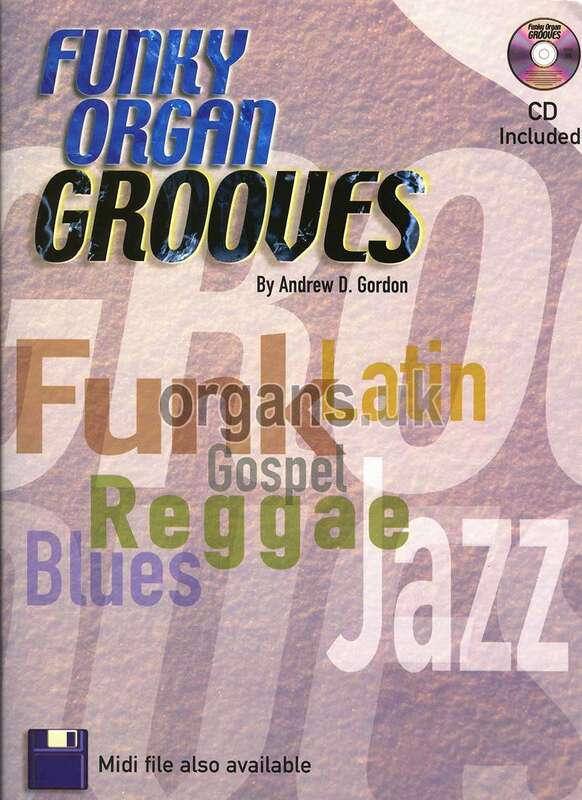 Funky Organ Grooves by Andrew D. Gordon There is an increased interest in playing the organ these days as many keyboard players are adding organ modules, organs, software etc., to their array of instruments. This book consists of 57 riffs, in many different keys, and covers a wide range of organ styles including Blues, Funk, Gospel, Jazz, Latin and Reggae. The music notation consists of the right and left hand parts as well as a bass line. Although primarily written and recorded with the organ in mind, pianists and keyboard players will also find the material in this book very useful. 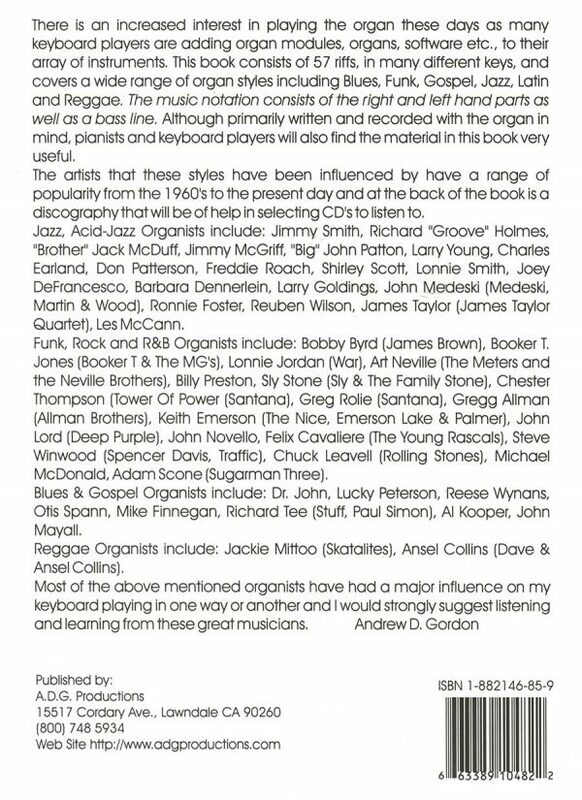 The artists that these styles have been influenced by have a range of popularity from the 1960’s to the present day and at the back of the book is a discography that will be of help in selecting CD’s to listen to.